Red Mountain Weight Loss – the leader in nonsurgical methods of sustainable weight loss is offering four free Fat Burner Plus Shots and a free consultation with a licensed medical professional – valued up to $215. The Fat Burner Plus Shots are a key component of Red Mountain’s weight loss programs that provide a long-lasting, two-in-one combo of their Fat Burner and Vitamin B. These shots will help accelerate weight loss while improving energy, eliminating cravings and boosting metabolism. This offer comes as Red Mountain Weight Loss celebrates the grand opening of their four new locations in DFW March 4. Patients are encouraged to schedule their consultation and mention “FB Plus” when calling any of the locations or submitting an appointment online. For more information and to schedule your appointment, please visit https://texas.redmountainweightloss.com/request-an-appointment/. Acupuncture has been used for more than 2,500 years. Through decreasing inflammation and increasing blood flow, acupuncture is known to help alleviate chronic pain such as headaches, joint pain and muscle pain. Tiny needles access distinct points on the body to restore balance, alleviate pain, reduce stress and anxiety, enhance sleep and improve your overall well-being during 30-minute sessions. From now until April 30, Modern Acupuncture is offering one free session at any of their conveniently located DFW centers. Use the coupon hyperlinked below to claim your free session and start feeling better TODAY! http://newsroom.trizcom.com/uploads/Jo_Trizila_Free_Session_Offer.pdf. Individuals wanting to experience the benefits of spending five hours at the gym in a fraction of the time now have the option to do so. Strength Genie, a fitness studio located in Frisco, is revolutionizing the way workouts are done. By using prototypical exercise machines powered by artificial intelligence, workouts can be completed within the blink of an eye. In just two 20-minute sessions, you can “bio-hack” your fitness and dramatically increase the effectiveness and safety of your fitness regimen. The offer is to experience a free, personalized session by working one-on-one with the owner and fitness legend to meet your fitness goals. 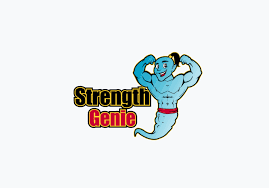 Strength Genie believes experiencing the equipment hands-on will show the full potential. To learn more and book your free one-on-one session online, please visit https://strengthgenie.com/book-now/. Whether you are wanting to lose weight, decrease stress or take your fitness to the next level (or all three), you can find what you need through these offers. Take advantage while you can and start working toward a better life! Clutch recently announced the best digital and traditional service providers on their platform, amongst which TrizCom PR was named a Global Leader in public relations for 2017. With over thousands of traditional service providers participating on Clutch’s ratings and reviews platform, it’s incredibly challenging to stand out amongst the rest as a top agency, especially for public relations which is one of their fastest-growing research segments. 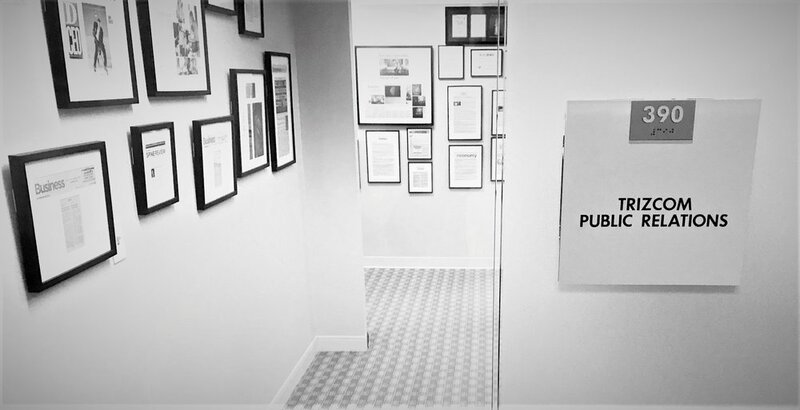 For many years, TrizCom PR has been distinguished for our strength in forging strong connections between our clients and the media, communicating their messages in ways that get them close to their goals. Our communications expertise, along with our commitment to delivering PR campaigns that drive success for our partners, is what has contributed to our ranking on Clutch. We’d like to thank our clients for sharing their feedback with Clutch and for being such supportive partners over the years. TrizCom is fully ready to continuing delivering quality PR work that makes our clients proud, and that drives up our placement on Clutch. Some of you are clients (past, present and future), some associates, some colleagues, and all of you are friends to us at TrizCom. We are all very grateful for you. Brainstorming and creating, helping you tell your stories and sharing your missions – thank you for letting us support you as you have supported us. We want to take a moment to wish you all a very happy Thanksgiving and share with you what we’re thankful for as we enter this holiday season. We invite you to leave us a comment on any of our social media pages with your own gratitudes! Have a lovely holiday weekend. And thank you. Jeff Cheatham, senior account manager – I am thankful to have both a peaceful home life and an office full of wonderful co-workers. As I’ve learned in the past, it’s awfully hard to attain both. 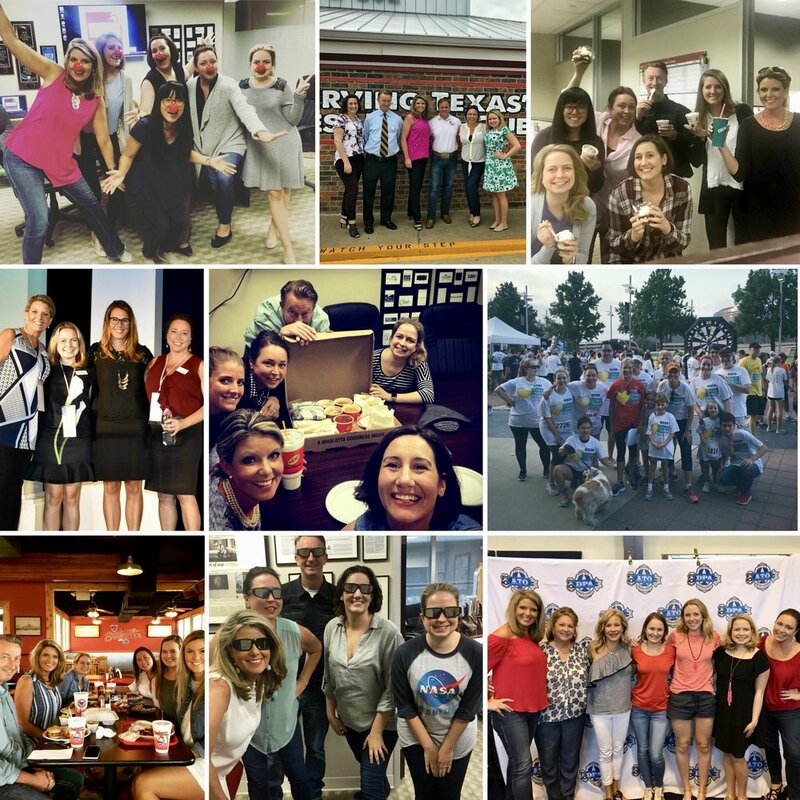 Dana Cobb, director of business development & senior account executive – I am thankful for my family: the ones I was born with, the ones who I chose and the ones who chose me. Every year sees a passing of milestones, relationships changing, kiddos growing, tender moments shared. I am always thankful for the ability to love the ones I’m with, especially during the holidays! Katie Mudd, account executive – I am grateful for my awesome husband Chris and our two adorable pups Heidi and Coco. Paired with the awesome clients we work with at TrizCom, there’s never a dull moment that isn’t full of adventures – whether it's chowing down on tacos, filling up on barbecue, cuddling adorable pets, chatting up celebrities or checking out the biggest boats!!! Jennifer Kuenzer, digital specialist – I am thankful for my family and friends, a warm and loving home, and the ability to help (in some capacity) where ever my help may be needed. I am thankful for the wonderful opportunities I’ve had this year to follow my passions, take more chances and to learn new things. Looking back on an incredibly busy and, at times, challenging year, I'm most thankful for the campaigns we have launched that truly made a difference. I’m beyond grateful for having a talented and dedicated team of professionals who have never lost their focus, passion or commitment, and for our many clients who put their trust in our hands – day in and day out. Open any magazine or newspaper today and chances are you’ll see an article about millennials. One group, however, is slowly taking over the millennial fixation. Generation Z, the generation born after 1995, is taking the marketing industry by storm. With Gen Z often being described as “digital natives,” this group grew up with technology and spends a majority of their time online. According to a study conducted by IBM where 15,000 consumers aged 13 to 21 from 16 countries participated, 74 percent of respondents spend their free time online, estimating five hours or more a day, and 73 percent use mobile devices to text and chat socially with family and friends. This study noted that Gen Z is also looking to have in-depth conversations regarding brand relationships, with 42 percent saying they would participate in an online game for a campaign and 43 percent would participate in a product review. 1. Gen Z wants to be engaged. The study found that Gen Z cares about product quality and availability, but participation and engagement is what they truly cherish in a long-term brand relationship. Gen Z doesn’t like to wait. Roughly 50 percent of Gen Z members surveyed said the most important thing to them when shopping is being able to find things fast, and more than 60 percent said they will not use an app or website that is hard to navigate or slow to load. 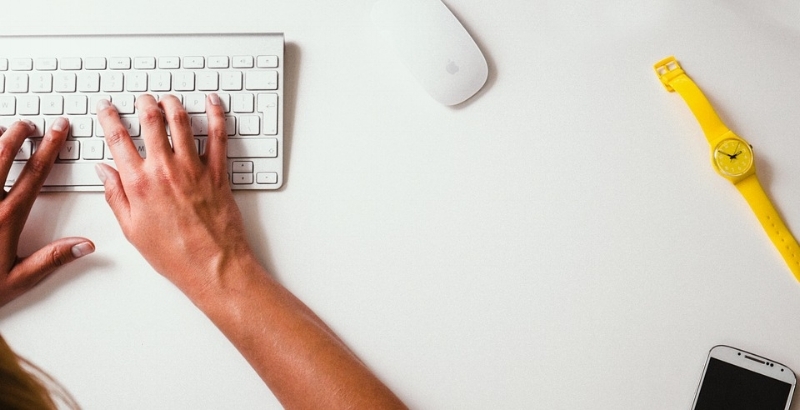 Don’t just say you’re a good company; prove it. Gen Z wants to see leaders practicing what they preach and being transparent. 4. Gen Z is accepting. According to Forbes, Gen Z expects to see diversity in marketing. Take Dove’s “Real Beauty” campaign, for example. Women of all kinds were featured in the campaign, and it was a hit. Gen Z wants to see acceptance and diversity in a brand’s marketing efforts. Gen Z has high expectations of brands and expects them to deliver. In an ever-changing marketing culture, brands must adapt to the transparent environment that this powerful generation demands. Words are Important. I have the best words. Believe me. Leonard Stein, one of the original founders of Mad-libs, said that the iconic ad-lib inspiration notepad was directly linked to his inability to spell “hyperbole” in a seventh-grade spelling bee. Humiliated and embarrassed beyond words, he ran home to take refuge in the family dictionary, determined to learn the correct spelling and exact meaning of as many words as humanly possible. Words are important; they are the most valuable tools in spoken language. Misuse of these words can backfire on the deliverer in monumental ways. My biggest peeve is the exchange of moot versus mute in conversation. For the record, a moot point can be either an issue open for debate or a matter of no practical value or importance because it’s hypothetical. The word mute means “silent; refraining from speech or utterance,” and the pairing mute point has no canonized meaning in standard English. Following is a quiz. Take it and see how you score. I scored perfectly because I have the best words. One of the things I love most about working at TrizCom is our work with nonprofits. Giving back to the community is an important part of Jo’s life that she has built into her business, and the best example of this is when we all come together to support one of our nonprofit clients as a team. 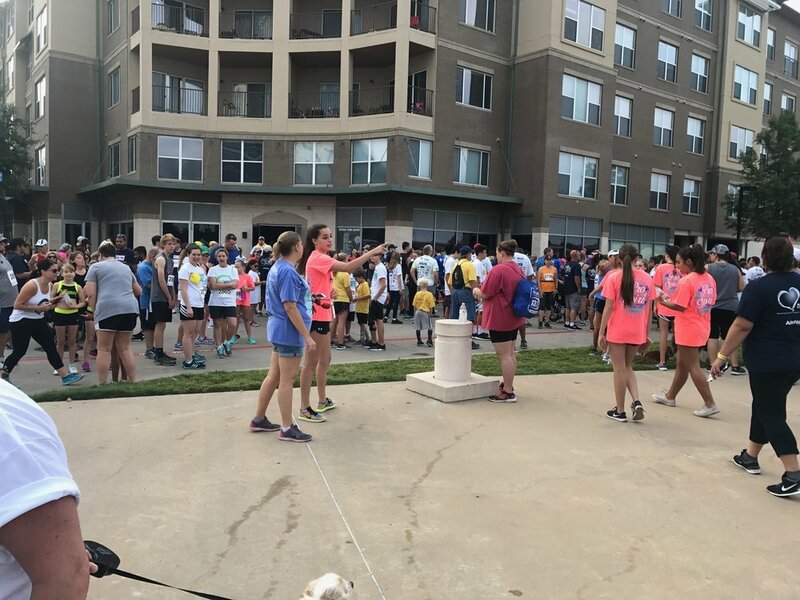 We had the opportunity to do that on Saturday at the Heart of Gold 5K Run for the Children Benefiting Heroes for Children (our client) and Wipe Out Kids’ Cancer. Heroes for Children is a unique nonprofit organization that provides social and financial assistance to families battling childhood cancer. 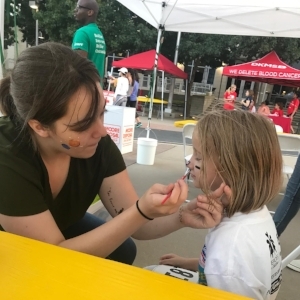 For this event, they partnered with Wipe Out Kids’ Cancer, which raises awareness and funding for pediatric cancer research on a national level. 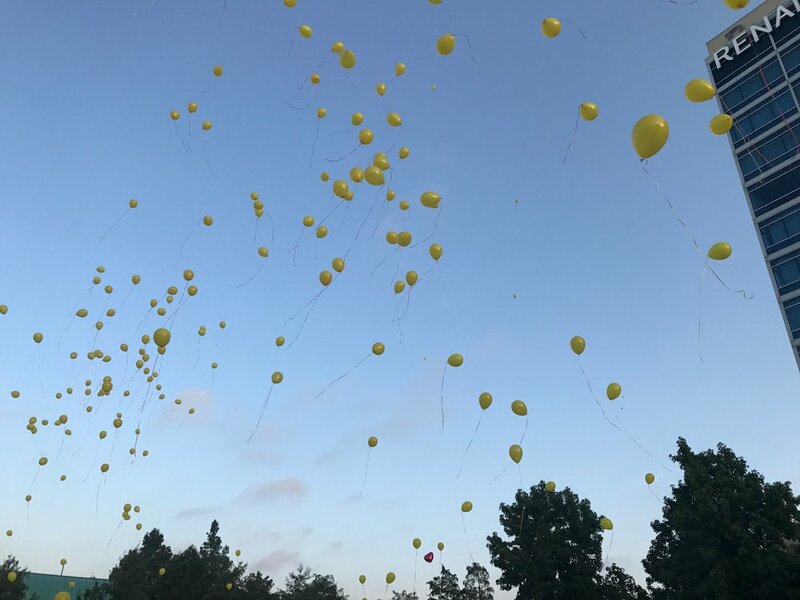 The 2017 Heart of Gold 5K was a blast – fun for the entire family, with a DJ, games, activities and food, as well moments and spaces to remember children affected by cancer, the reason we were all there that day. There was a commemorative balloon release, representing the families of Heroes for Children, right before the big race. I managed to get a few photos from the event on Saturday. The balloon release! It was moving, seeing how many families have been helped by Heroes for Children and their mission. Face painting was a big draw for the kids. It was packed, and everyone was in great spirits. Yes, everyone’s a winner, though there was special recognition and medals awarded to those with the best time in their age groups. It was a race for avid runners (like our own Jeff Cheatham – who achieved a personal best) and, well, the rest of us! My family and I were so proud to be part of Team TrizCom and look forward to next year’s event.